After combing through numerous gallery previews for both the FOG and Untitled art fairs, this is your first look at highlights before they open next week! For over seven decades, Louise Bourgeois’s creative process was fueled by an introspective reality, often rooted in cathartic re-visitations of early childhood trauma and frank examinations of female sexuality. Articulated by recurrent motifs (including body parts, houses and spiders), personal symbolism and psychological release, the conceptual and stylistic complexity of Bourgeois’s oeuvre – employing a variety of genres, media and materials – plays upon the powers of association, memory, fantasy, and fear. 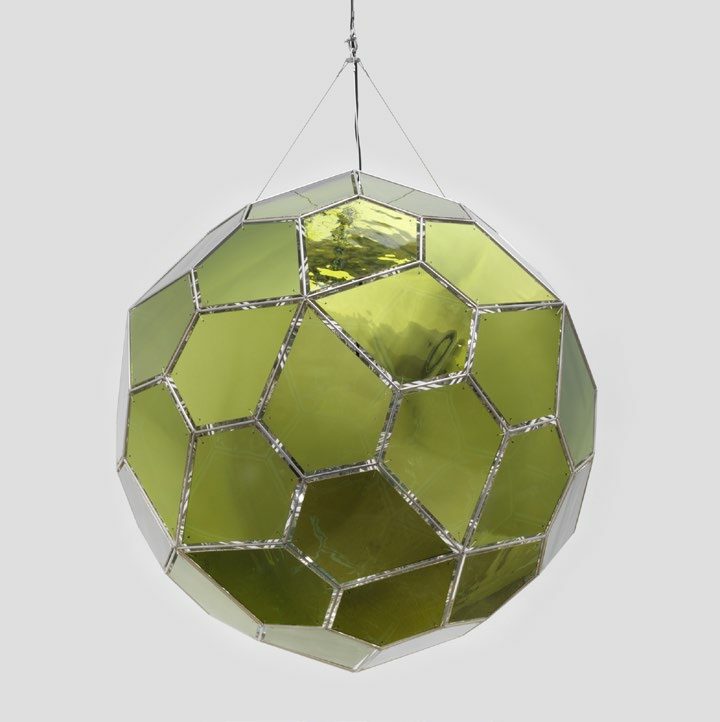 Eliasson's solar surfaces are constructed from combinations of black, gilded and glacial glass, a special glass produced from the ground-up sand left in the wake of a retreating glacier. The light inside passes through the geometric surfaces, casting kaleidoscopic shadows throughout its surroundings. The small and sporadic openings within the piece offer glimpses into the complex space within. For his Infra series, Mosse traveled to the war-torn Democratic Republic of the Congo, documenting the complex network of rebel and state-sanctioned troops that inhabit the lush landscape. The artist used Kodak Aerochrome film, a now discontinued color infrared film originally developed with the U.S. military during the Cold War to detect enemy camps within the landscape. 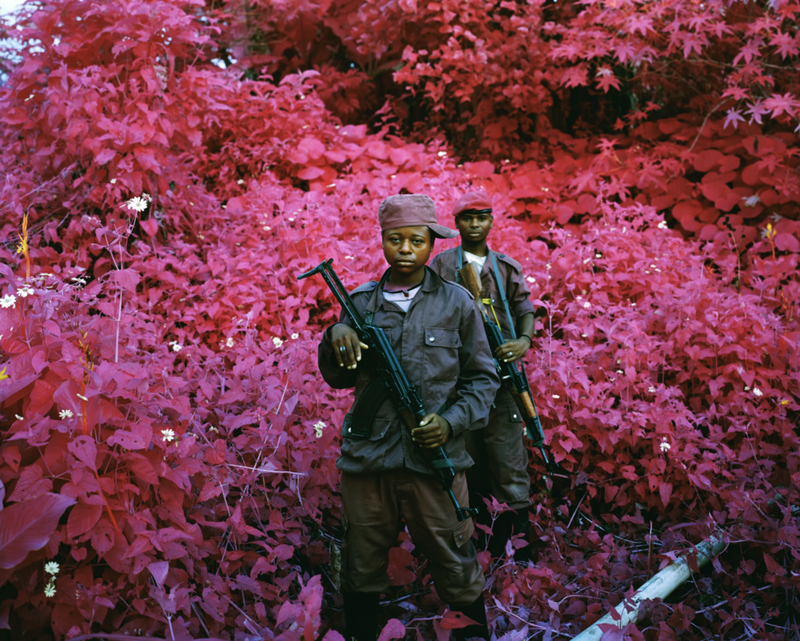 The resultant images render the foliage in vibrant fuchsia tones, highlighting the often-invisible militarized nature of the scenery, while also indicating the conflict between photojournalism and aesthetic image-making inherent in Mosse's practice. 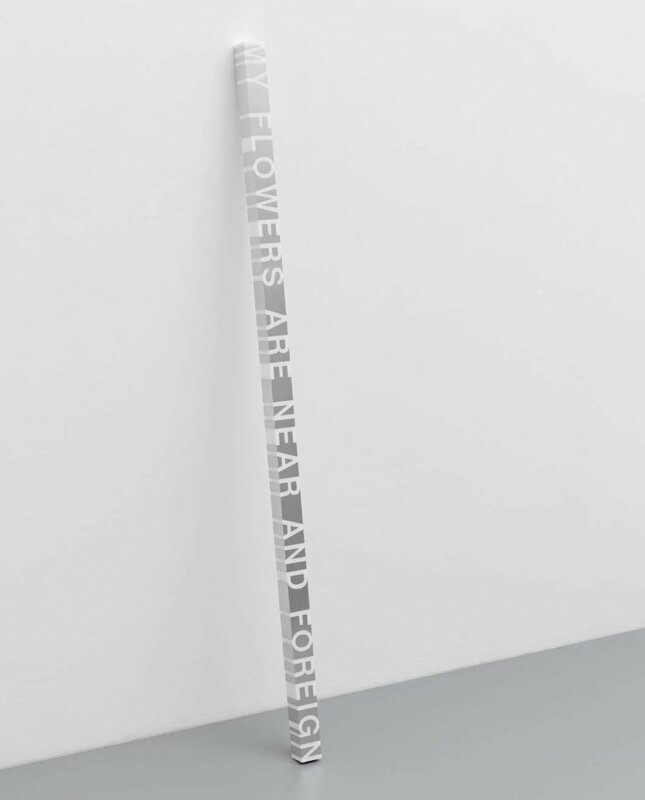 Using drawing, photography, installation, sculpture and literature, Roni Horn’s work consistently questions and generates uncertainty to thwart closure in her work, engaging with many different concerns and materials. Important across her oeuvre is her longstanding interest in identity and perception, as well as the notion of doubling; these issues continue to propel Horn’s practice. The text above references Emily Dickinson's series of letters from 1958. Jack Whitten began his earliest experiments in painting during the 1960s by creating dynamic works inspired by Abstract Expressionism. Born and raised in Bessemer, Alabama in 1939, he moved to New York City in 1960 to attend The Cooper Union. Noted for raucous colors and density of gesture combined with topical content, his artwork of this period manifests emotionally complex meditations on Dr. Martin Luther King, Jr., the Civil Rights movement and the Vietnam War. 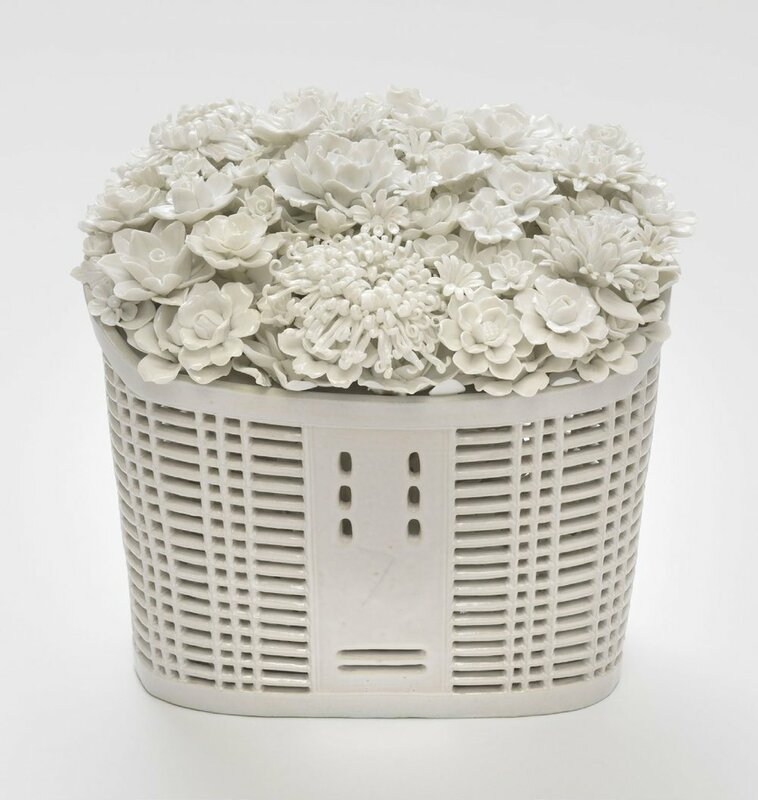 Dealing with the concepts of authenticity, the transformation of the value systems throughout different eras and Chinese cultural history, Ai Weiwei’s works call the viewers’ understanding of cultural, artistic and historical values into question. Through his interrogation of the concept of authenticity in the replicas he produces, Ai Weiwei’s works undermine the difference between the copy and the original. Bird utilizes traditional Chinese kite materials to create an ethereal floating structure that acts almost as a small replica of his colossal silk and bamboo installations seen throughout the world. In Bicycle Basket with Flowers, he adapts the logic of the Chinese and Greek pottery decoration and Egyptian wall painting to reflect on history and provide us with a comprehensive view of the contemporary world. Pae White's work encourages viewers to take a deeper look at familiar encounters and ordinary objects. In 2006, White began creating tapestries with photographic images of crumpled aluminum foil and plumes of smoke, staging what White describes as the cotton’s “dream of becoming something other than itself” by contrasting an image of something immaterial with the physicality of fabric. The series of works by Laurent Grasso grouped under the title Studies into the Past, undertaken in 2009, vividly illustrates the degree to which this artist’s works are infused by a meditation on time. Grasso collaborates with conservators to create drawings and oil paintings on panel whose style and execution are inspired by Italian and Flemish painters of the fifteenth and sixteenth centuries. Seen through Grasso’s eyes, however, this chapter in the history of painting is disrupted by the presence of the foreign objects that are perfectly integrated into each image. Bernard Frize’s abstract painting is decisively process-oriented. Working in series, he explores all the possible visual outcomes of precise protocols, which he conceives beforehand. These pre-established conditions and constraints usually pertain to the use of unconventional tools and materials, the almost mechanical execution of seemingly simple gestures, and sometimes the simultaneous assistance of other painters. 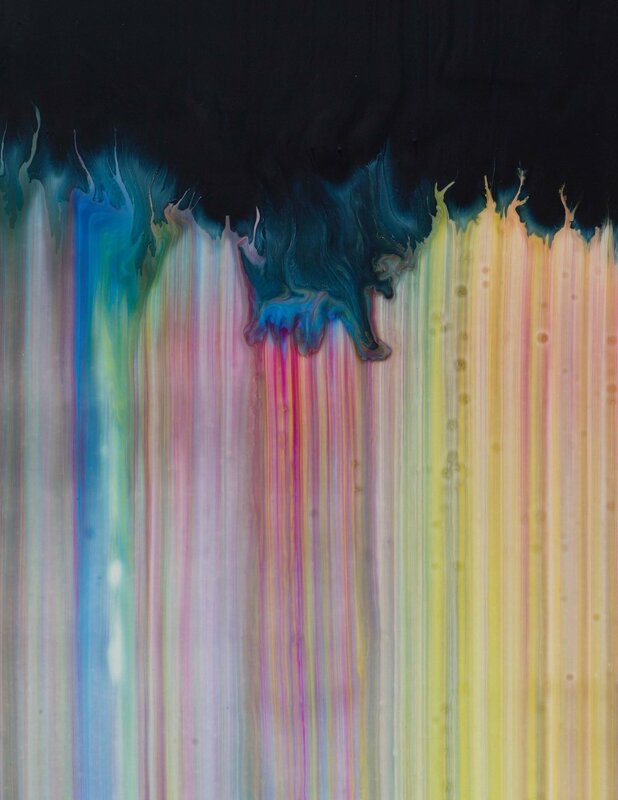 While they each record the peculiar dynamics of a predetermined technique, his vibrant abstractions are also arenas for chance to operate. Through her work, multidisciplinary artist Gabriella Sanchez visually debates an aestheticism philosophy through these inquiries by exploring how the duality of identity—Mexican and American, us and them, the personal and the sociocultural—is mediated, contextualized, and subverted in the art world. Her compositional collage paintings are like vibrant, sprawling puzzles. Seemingly disparate elements all exist on the same flat plane. Sharpie tags are scrawled alongside painted sleek Helvetica fonts, prompting the audience to name what is unspoken. Elizabeth Peyton was a leader in contemporary painting's return to figuration in the 1990s. Her modest-scale, jewel-like paintings show a deep knowledge of forebears from Édouard Manet and John Singer Sargent to Andy Warhol but are also intimately connected with the culture of late-20th-century America. Peyton's seductively moody celebrations of youth, fame, and beauty are notable for their brilliant color and graphic sense. 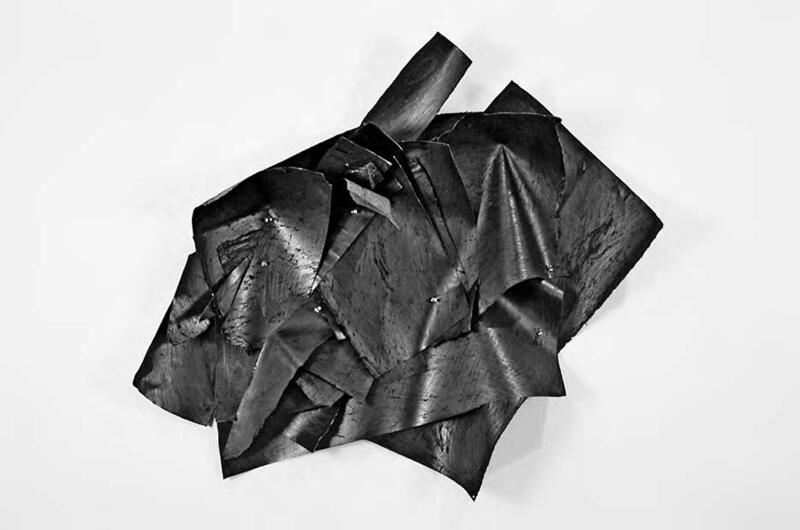 Nancy Rubins salvages the unlikeliest of everyday objects, and also uses paper and graphite as sculptural materials. Her works that are labeled “drawings” share the physical presence and spatial dynamism of sculptures in the round. Drawing is lustrous and dark, absorbing and deflecting light in a way that complicates its contours. Adriana Varejão presents incisive reflections on the multiplex nature of Brazilian history, memory, and culture, which is reflected in her diverse use of mediums. Varejão draws upon aesthetic traditions and a visual legacy resulting from transnational exchange, imperial and otherwise, to create a confluence of forms that she ultimately conceives as a metaphor for the modern world.